Buying a new home is an exciting time. Casting your eye over beautiful homes and new areas is a thrilling experience. But it's very easy to get caught up in the thrill and forget that purchasing a home also requires thought and planning. Yes, that's boring. We know! But at Parkers we've seen buyers follow their hearts rather than their heads and it's cost them. What's required is a balancing act between heart and head in order to avoid these common mistakes people make when buying a home. This comes down to something as simple as the price sliders on sites such as Rightmove and Zoopla. Yes, it can be nice to set the maximum price bar a little higher "just to see what's out there". But spending hours looking at homes you can't afford could mean you are missing the chance to look at properties that are within your price range. Set your budget before you do anything else. And be strict with yourself - only look at properties you can afford. When it comes to your budget, seek professional advice if you need to. Speak to a mortgage broker or your bank so you know without doubt what your ceiling purchase price is before you start falling in love with homes you can't afford. Emotion will always come into the home buying mix. And so it should. Homes are supposed to make you feel something - that's why we call them 'dream homes'. But buying a property is a big financial decision and should be made with a clear head and for positive reasons. Make sure you know why you are moving. If it's for very personal reasons, for instance an attempt to improve a marriage, there could be other, less costly ways to make the changes you need. On the flip side, perhaps you need more space because of a growing family or would like to downsize to free up some equity to travel - these are clear reasons for needing to move with clear goals at the end. Be clear on your reasons for moving before you set out on your journey. The thud of realisation deep into the purchase process could end up costing you a lot of money. Okay, so we mentioned 'dream homes' earlier. Surely that means getting everything on your wish list, right? Wrong. Compromise and a willingness to do so is something every house hunter needs. It's extremely unlikely that everything on your wish list will be achievable, no matter how healthy your budget. Establish the things you are willing to compromise on before you set out on your journey. Being too fussy or demanding will put paid to your hopes of finding a new home quickly. Often, some minor alterations to a property that, on paper, doesn't tick your multitude of boxes can turn it into that 'dream home'. Have vision and be flexible. Most buyers start their journey to a new home by looking online. After all, it's a fantastic source of information, available 24/7 and easy and quick to use when time is of the essence. But local knowledge still counts for a lot when it comes to property and a solid relationship with your local agent could pay dividends. They will often tell you about properties fitting your specifications before they hit the market, putting you at a huge advantage over those relying on an online search. We've already established that buying a home is not a decision to make lightly. However, once you have found a property that ticks the boxes you need it to, delaying or discussing an offer for too long could let someone else in. If you have a great feeling about a property and your checklist of of must-haves are all in place, make an offer. If nothing else, it will show you are serious and even a declined bid will give you a solid idea of where the seller's expectations are at. Playing a waiting game rarely ends well. Negotiation is one of the most difficult aspects of buying a home. It doesn't come naturally to everyone and very few buyers will have their own Lord Sugar to do the negotiation for them! Try not to be overly excited when viewing a house that fits the bill. The agent, or seller, will know you have fallen in love at first sight and hold firm on their asking price. On the back of that, even if you do love a property, don't go in with a first offer at the asking price simply through fear of missing out. Most sellers are willing to negotiate, but don't take too long between your first offer and a more acceptable one if it's declined. This is one of the most important decisions you'll make on your property journey. 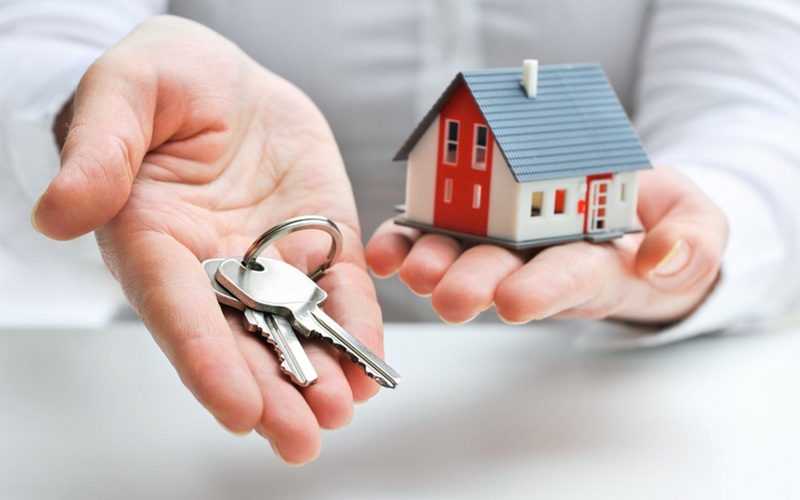 Your conveyancer holds the key to how quickly you can move into your new home. Delays can often result in transactions collapsing, so choose your solicitor wisely. Parkers would always recommend you opt for a solicitor who knows the area you a buying in. Moreover, the lines of communication between you and your conveyancer need to remain open at all times - opting for an online solicitor may be cheaper, but being able to pop into their office to chase an item of paperwork is not an option.